New drawing lesson on how to draw Kratos already here. 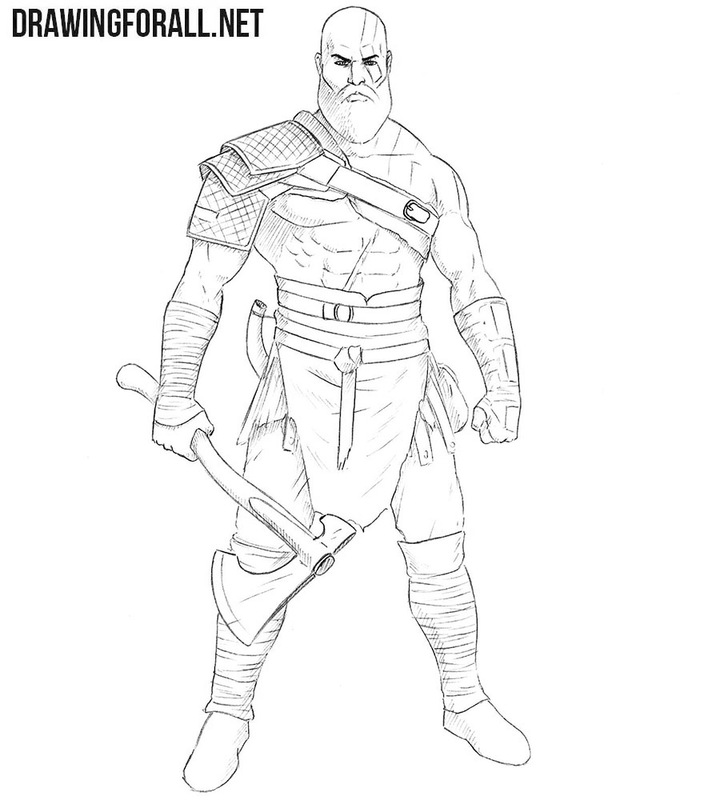 As you know, this is the protagonist of God of War.We know that we have very few lessons on video game characters on our site. So we try to fix this problem. Let’s start this drawing tutorial! 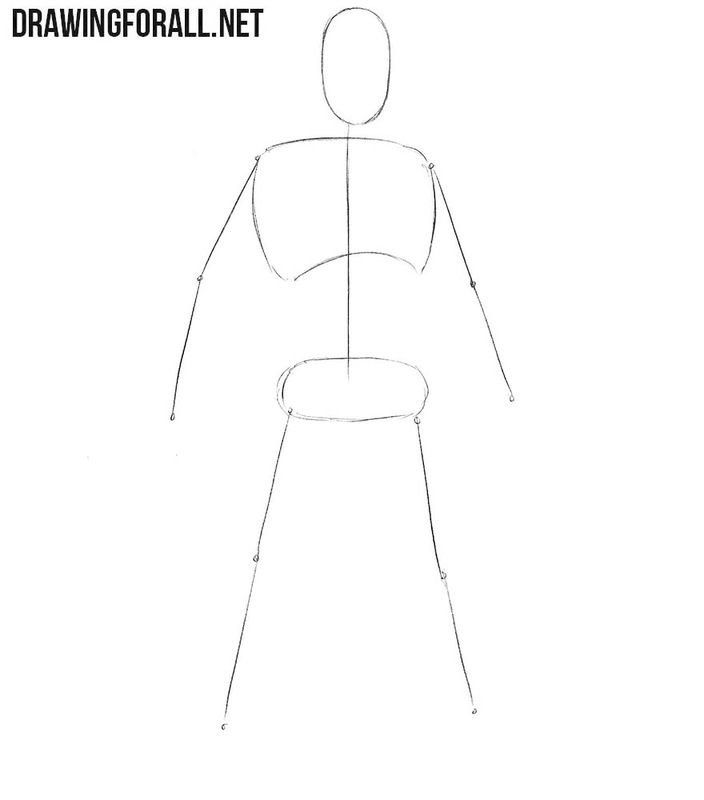 In order for our character to be realistic and smooth, first action we need to draw the stickman. The stickman will be the basis of our future drawing. You should begin with the head, drawing it in the form of coffee bean. After that, outline the spine using a simple line. On the line of the spine draw the chest and pelvis. Next sketch out the arms and legs and the move to the next step. In this step we will add some “flesh” to this stickman. We begin the drawing from the lines of facial symmetry. After that draw powerful neck and torso, which narrows to the belt. 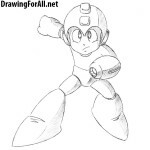 Then we draw arms that are represented by simple figures. Next go down a bit and sketch out the pelvis and legs. Now it’s time to work with details in our drawing. Using clear and dark lines, we draw out the eyes with frowning brows. Below them draw a nose, mustache, beard and mouth. 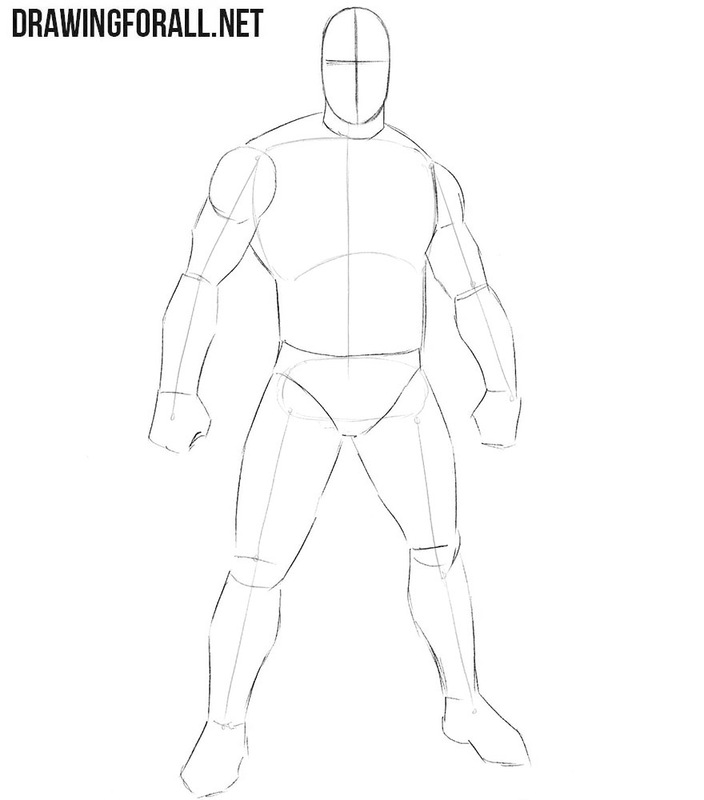 Also in this step we draw the contours of the armor. Don’t forget to draw the axe. It will be very easy step. We erase the contour of the chin, draw facial features and tatoo. You will get an excellent mouth if you gently erase the area between the mustache and beard. 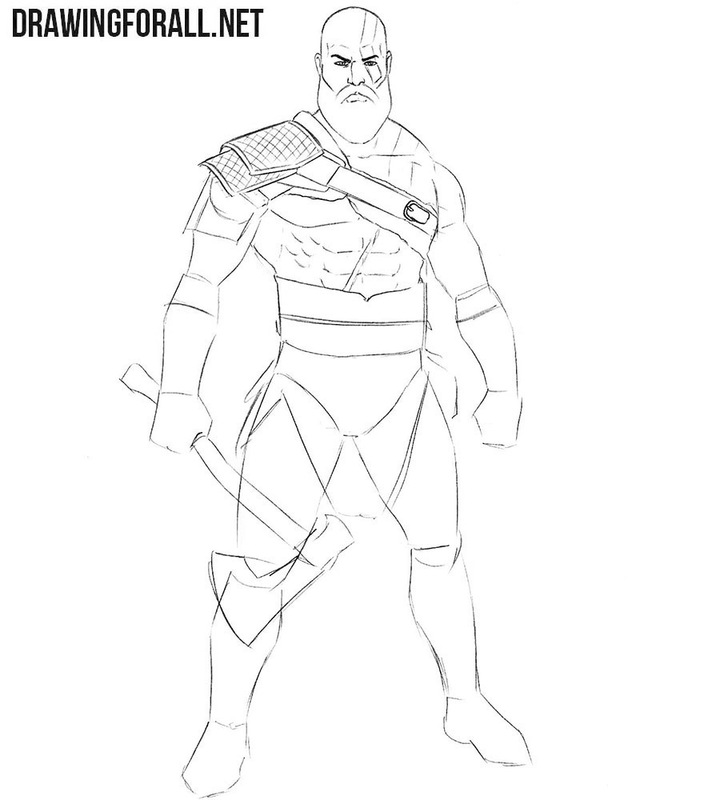 Now let’s move on to the torso of Kratos. Gently draw the neck. After that move little lower and draw pectoral muscles. 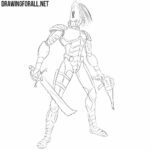 Next, draw elements of armor that located on the front of the torso. 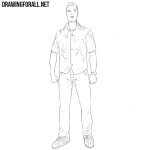 At the end of the step remove all unnecessary guidelines from the torso. 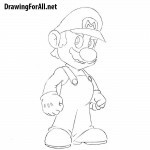 It’s time to draw the arms. The hardest part of the arm is the palm. 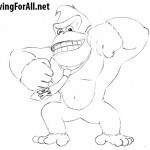 You can see two fists in this picture – if you want to draw it really good, don’t forget to read this article. Also in this step we draw the main weapon of Kratos – we mean his favorite axe. In ths step we draw a piece of clothing that covers the pelvis. It will be more convenient for you to draw belts in the direction from top to bottom. 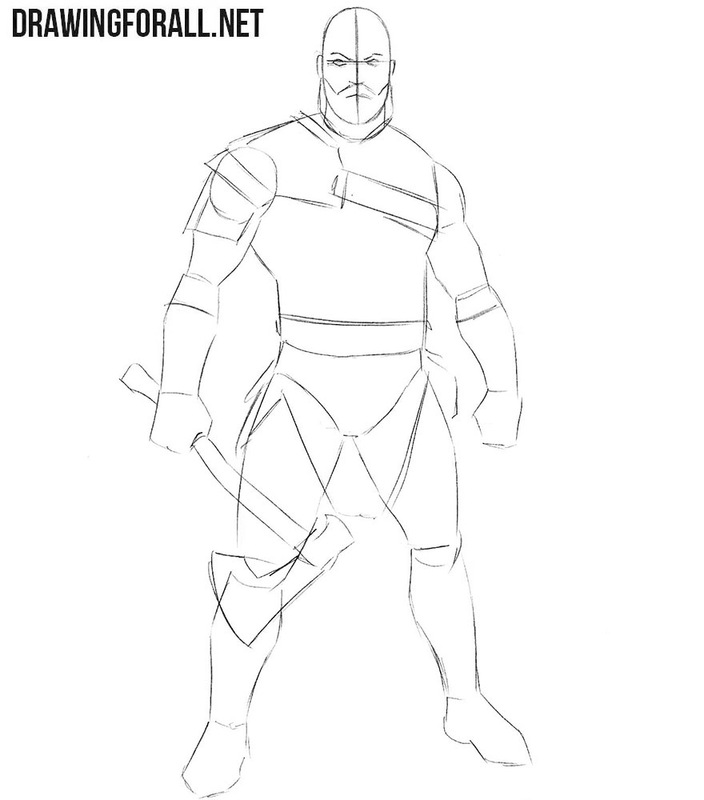 Don’t forget to draw the armor that covers the shins. Let’s works with shadows. First of all we paint the armor. We did this using hatching, but you can paint it in solid black. After that add the shadows to the hand, musculus pectoralis major and leg. It was the tutorial about how to draw Kratos from God of War. 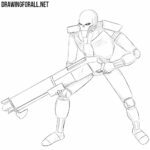 Do you want new drawing tutorials about the chatacters from the videogames? Let us know about this in the comments to this article or on our social networks.